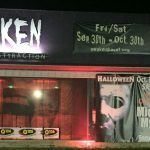 Awaken Haunted Attraction is a Haunted Attraction located in Leslie, MI. reviewed this attraction on October 7, 2017. 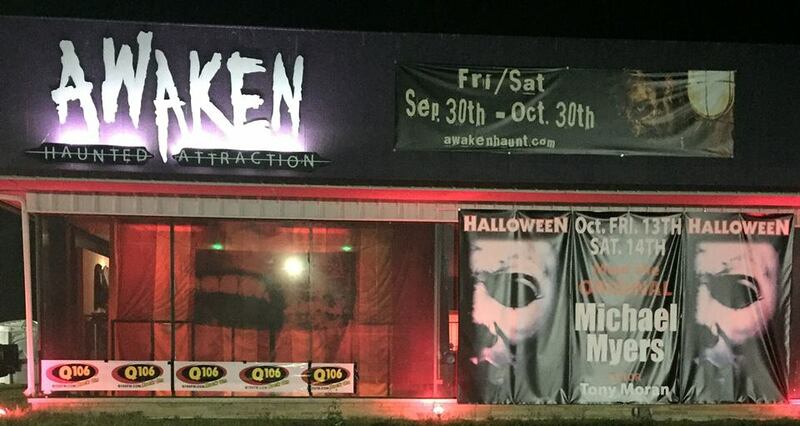 Located smack dab between Lansing and Jackson, Michigan, Awaken Haunted Attraction has firmly made its mark on the Michigan haunt scene in only their second season. 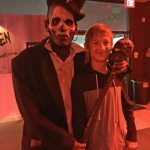 Our review team visited in 2016 and walked away impressed by the show we got, especially when considering it was a 1st-year haunt. Oftentimes a new attraction nears a year or three under its belt to work out the kinks and acquire enough set pieces but not Awaken. After visiting again in 2017 not only did we witness some great strides forward, we got what was essentially a completely different show! Awaken changed up most of the scenes from the previous year and returned with, what we felt, was a much stronger cast. This all added up to a better attraction and longer attraction all around! The cast as a whole was a very entertaining bunch with several of the actors being top notch. They were quite vocal, often speaking in unique, sometimes humorous dialects that helped to give their characters more depth. We felt that some of the scenes could have been better scripted, as there were a few instances when things went on too long or where a joke fell flat. With that said, we thought a good portion of the dialogue was effective and at times quite clever. The majority of the cast were enthusiastic and seemed fairly dedicated to their roles. We really don’t like to give away too much detail about the characters you may see during your visit, so instead let us give a round of applause to your favorite performers; the gentleman in the opening scene, the girl in the lab, the man who had us clean something, the girl in the closet, and funniest performance of the entire cast, the Voodoo DR.
All of the costumes appeared to be custom made for their characters, which helped make them more believable and appropriate for their respective characters. The makeup applications were nicely done with the good use of prosthetics, hair application, and colored contacts. We saw a few high-quality masks that we found to be quite realistic. We won’t give those characters away but we will say that our favorites were the two different man/animal creatures. We did notice that the majority of the characters being portrayed at Awaken were types that didn’t really require a lot of highly detailed makeup effects or costumes such as the mental patients, little girl, zombies, and clowns. While we felt the characters were all well done, we would like to see the addition of something more elaborate and original character-wise in the future. You should have no problems finding Awaken with GPS, it’s right off highway 127 and there is illuminated/flashing signage that is easily visible from the road. Parking is a breeze in the large paved parking lot adjacent to the haunt. Do be aware that our GPS gave us the wrong directions for the drive home both times we have visited. There is indoor waiting which is great on cold or rainy nights. Several queue line actors and a magician keep things entertaining if you should have a long wait. The magician, in particular, was a complete delight! The tricks he performed while we waited really impressed us and left us wanting more! There are port-a-potties on site, as well as gift stand and concessions. The staff was friendly and very helpful with answering our questions. As soon as we pulled into the parking lot we heard creepy music, saw a neat hearse with purple lighting and noticed a couple roaming actors. The indoor waiting area was a little lacking atmosphere wise with its white drop ceiling and the fact that it’s basically one large window on three sides of the building (think car showroom). However, the queue line actors and magician earned high marks from us, which played a big part in helping us prepare for our journey. Our favorite aspect of the effects at Awaken was the authentic look of the different scenes and their high level of detail. To put it simply, everything looked great and very realistic. We came across several standout sets during our tour most notably in the town, hotel lobby, kitchen, girls room, and surgery scenes. We counted several instances when we couldn’t tell if something was a prop or if it was real. We felt that the lighting effects were great, often times the lighting accentuated the details of the scenes beautifully and other times it was more dramatic, like the strobes in the clown room. The sound effects sounded authentic and were quite appropriate for there respected scenes. We would have liked to have heard more use of a soundtrack, but still what we did hear added to the overall experience. We were impressed with the scene right after the hotel hallway and felt like it was one of the most elaborate effects of the entire tour. It wasn’t a flawless effect, and we won’t spoil what it is but it did stand out and has the potential to evolve into something special in our opinion. Awaken doesn’t stick to an overall theme. 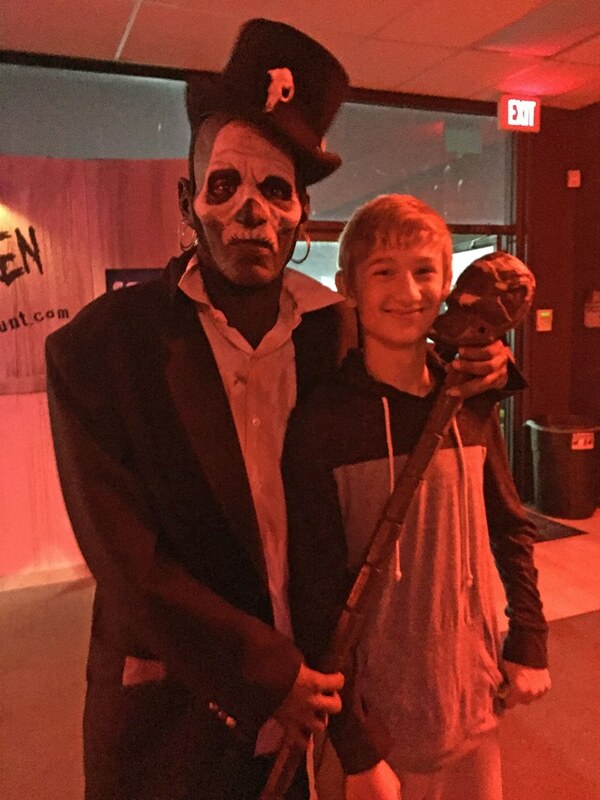 We really enjoyed the variety and unpredictability of the scares at Awaken. We felt the majority of the scares were provided by the strong cast which excelled at hitting all members of our group. We got some really good “pop” scares that we didn’t see coming due to clever hiding spots. There were some great environmental scares which directly involved parts of the sets themselves including one scene in which the entire set moved! Several times the actors got our hearts racing with their creepy follow scares. But our favorite scares of all were provided by the characters who interacted with us. They did a great job of making us believe they were actually crazy which made us wonder if they were going to do something bad to us! We would have liked to have seen more use of distractions, misdirections and the intensity levels of the actor heighten to maximize more scares in the future. The cost of general admission is $20. A VIP Fastpass is available for $30 which is highly recommended for busier nights when the wait can be quite lengthy indeed. It took us 16 minutes to complete our tour of Awaken. When dividing the tour time by the admission price we get a MPD (minute per dollar) score of .80. While that is lower than the industry average of 1.5, we still feel the attraction is a good value because of the high quality of the entertainment. 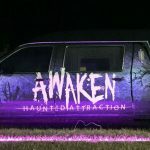 We look forward to future visits to Awaken and would consider them one of the top attractions in the state of Michigan!